Strongroom door leading to the tabernacle. 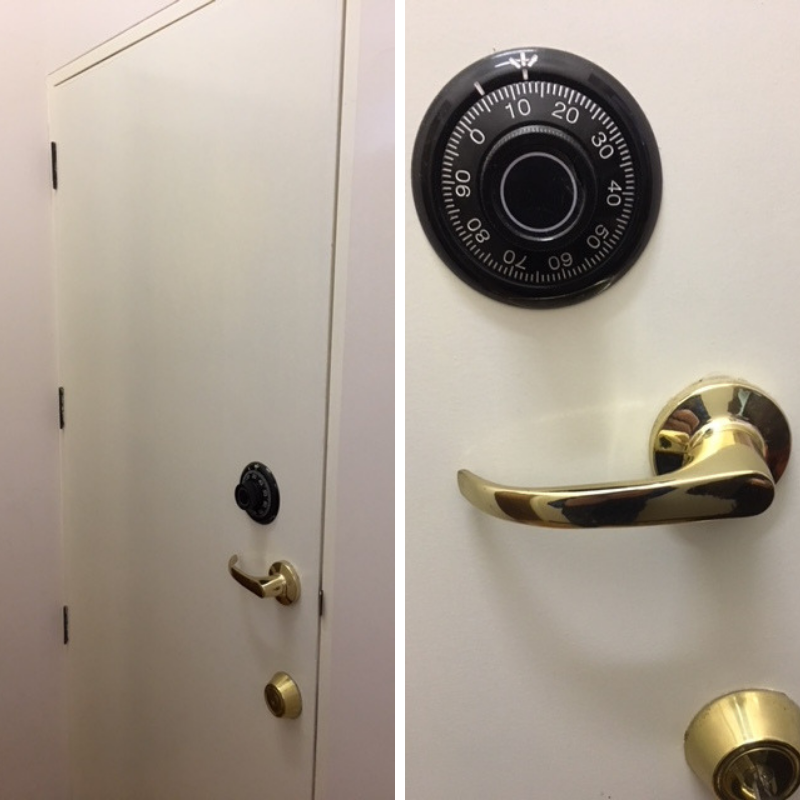 One of our more interesting commercial jobs recently was to attend to a strongroom door (pictured left) at a convent for retired Nuns in Melbourne’s CBD. The door led to a large cupboard that the nuns used as a tabernacle, a secure place for protecting the Eucharist and the churches precious chalices etc., used by the visiting priest for conducting Mass. They had the combination lock fitted some years ago, however the nun’s had developed the unfortunate habit of leaving the combination lock open, and only using the key lock to gain access to the tabernacle. One day one of the nuns spun the dial, locking the door. Of course, having not used the lock in some time, Mother Superior had forgotten the combination. They required the lock to be opened without damaging the door and were advised (wrongly) that they would have to contract a Safe Technician from Sydney to fly down and open the lock! Thankfully, their maintenance contractor discovered the Safecrackers Australia website by searching online for a local safe technician. Kevin successfully opened the lock, without drilling or damaging the door. The Priest was back in business, much to Mother Superior’s relief!